Award-winning actress Sigourney Weaver of the Tony-nominated Broadway production “Vanya and Sonia and Masha and Spike” visits THE TALK while the show is on location in New York City, Monday, May 13, 2012. THE TALK returns to New York City the second time this season for a week of episodes to be broadcast Monday, May 13 – Friday, May 17 (2:00 PM, ET / 1:00 PM, PT/CT) on the CBS Television Network. 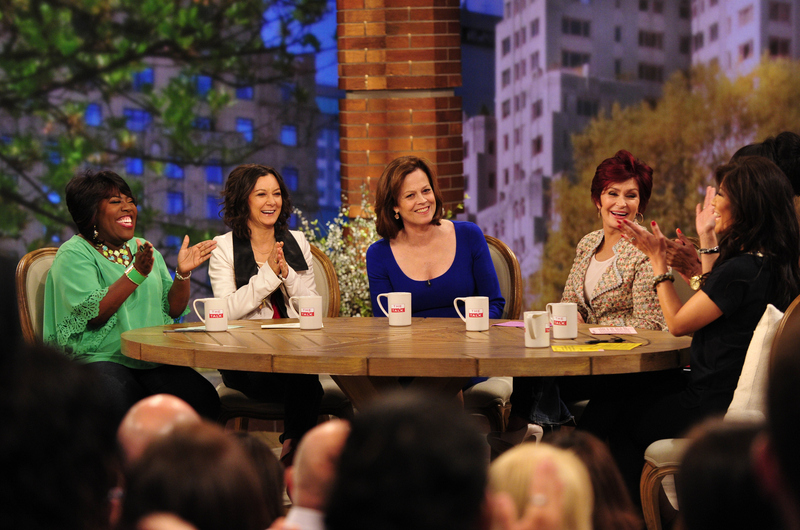 Sheryl Underwood, from left, Sara Gilbert, Sigourney Weaver, Sharon Osbourne, Aisha Tyler and Julie Chen, shown. Photo: John Paul Filo/CBS ©2013 CBS Broadcasting, Inc. All Rights Reserved.